family | Namaste. . . I know I have at least one friend who is reading this title and laughing! So, those who know me know that I’ve been called Gadget Girl … I have several iPods, an iPad, two laptops, and a desk top. . . a scanner, a printer, a mobile printer, and well, an all-in-one… I have several digital recorders, timers, biofeedback equipment, etc. But there is a point to this inventory. . . my point, there are certain things I like to use for certain specific tasks AND I’ve never found an all-in-one that I really loved because it truly cannot do everything I need it to do. I like to write my blogs on my macbook air but put them “together” on my HP laptop. 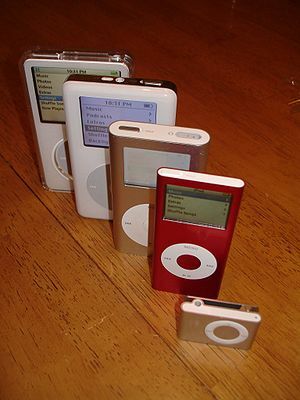 I like to take photos with my iPhone but listen to music and audiobooks on my iPod classic. It’s easy to justify having all of them, but I would rather spend time appreciating their place in my life. . . and sending gratitude to the universe for being able to have things on which I have come to depend. And for some reason, while cooking dinner tonight, I kept hearing, almost as a mantra, “No one can be all things to you” and I figured if it was that important to be sitting right there in my awareness while I was futzing in the kitchen, it was important enough to write about. No one can be all things to you. . . I think back over my life and there are “constants” that seem to always be there, in one shape or form. . .
lessons of the heart, mind, body, spirit, sangha, community, etc…. Some constants come up as recurrent themes like Roshi Joan Halifax‘s chant at the end of her dharma talks “Do not squander your life” and how that is sitting so profoundly with me right now. Other times it’s been Thich Nhat Hanh‘s “I have arrived, I am home” or “Be here now” or “Loving is saying goodbye”, etc etc etc. And I think that “No one can be all things to you” is a constant. My main mentor was in no way, shape, or form the only wise woman in my life. She was one of many and we had a heart connection because of our shamanic call to be present with dying. But there were others that came before her. . . my mom being the first of the long line of graceful, loving, intelligent, no-nonsense women. . . There was a beloved philosophy professor from school in NY who introduced me to the Dharma and probably doesn’t even realize that she saved my life… well, my existential life. There have been crusty old hospice nurses told it like it was, gentle and kind therapists/colleagues, and a wonderful mentor in gratitude school who has an all-encompassing sense of grace about her. No, woman were not the only one’s who influenced my life. My dad and his father certainly did . . . while I was growing up, the sun rose and set around me in their eyes. As it also did for a family friend who was like a second dad to me. And my brother… well, I’ll tell you a secret… (Mike was terrified that he’d be forgotten. . . and yet, he gave me the gift of companioning him through his dying and in doing so has touched the lives of thousands through me and my work). So if you have a similar fear, love someone and you will never be forgotten! There was the French teacher in high school that scared me half to death but pushed me harder than anyone else in my life and I learned what I could achieve because of it. There were wise professors whose feet I sat at and a few friends whose shoulders are probably still stained with tears during years of deep connections, retreats, and stories about love affairs. And I realize that no one friend, no one mentor, not even one parent can be or has been everything to me. There have been times in my life that my dad and I were inseparable and others times, it was my mom and I.
I’ve thought this lover or this partner — well, of course he was going to be “the one”. People have moved in and out of my life, and I, physically, out of their lives. Each connection bringing with it a kind of grace, depth, and compassion that has a different flavor than all of the others. No one can be all things to you . . . When we think that we will find “the ONE” who will be there through it all, no matter what, forever, our relationships are filled with delusion and attachment (not the healthy kind of attachment). We can practice mindful awareness of the time that a person is in our lives, the gifts that we share, and the nuances that they bring to the totality of our lives. And bless them when they are no longer here with us. whether by dying or by conscious choice. . .
we do not need to wait for “the ONE”.